The Chamber in Jackson County continues its main role as an active leader and facilitator in bringing together the resources of Jackson County. The Chamber works to promote cooperation, credibility, and communication to Jackson County agencies, organizations, and businesses, while providing the means of quality growth in the community. The main focus will always be towards the small businesses of Jackson County. Dear Community Leader: Thank you for taking the time to review this historic undertaking for the Mountain Lakes Chamber of Commerce, previously known as the Greater Jackson County Chamber of Commerce. I have no doubt you will agree that now is the time for CHANGE! Now is the time for ACTION! It is my hope and respectful request that you will join me to lead this most important initiative for our region. The world has changed infinitely more in the last 30 years than it has in the last 100. How we conduct business has morphed considerably from our ability to send a facsimile to having the power of a personal computer that fits into the palm of our hand. For years, high-tech companies seemed out of reach for rural areas and only major metropolitan areas could meet the technology demand of these tech giants. That too has changed. With growing access to fiber networks, these companies are realizing the benefits of rural areas such as; accessible cost-effective land, available trained workforce, low cost of living, superior schools, quality of life and unlimited recreational activities. Welcome to Jackson County, Alabama! I’m Rick Roden, President and CEO of the Mountain Lakes Chamber of Commerce, formerly known as the Greater Jackson County Chamber of Commerce. 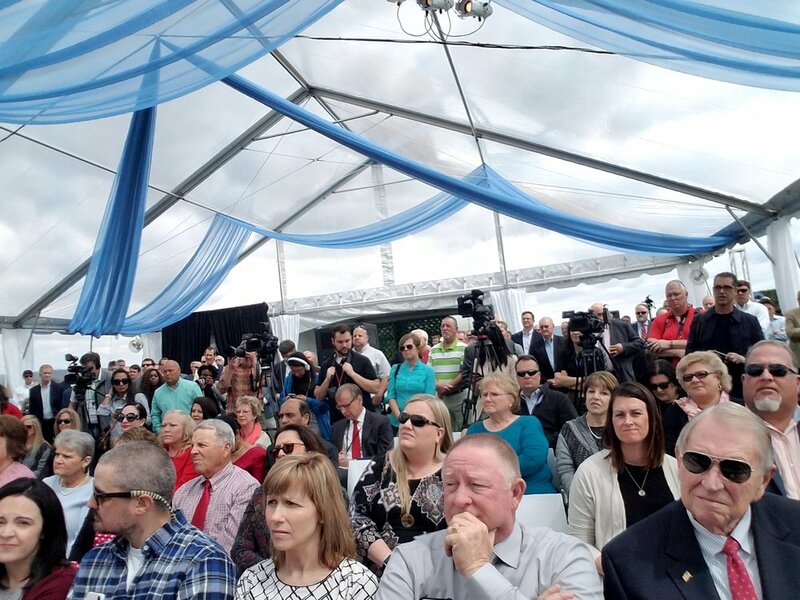 It is my pleasure to introduce you to what’s new, what’s not so new– but still fascinating and exceptional–and to highlight the amazing reasons for living, working and enjoying life here in Jackson County. For me, Public Policy and Advocacy stands out since I spend so much time on this initiative. The Chamber has led visits to Montgomery and Washington, D.C. on an annual and consistent basis. The advocacy issues are prioritized and after they are presented, we then measure our success as to either getting pro-business legislation passed or stopping anti-business legislation. The remaining five initiatives define who we are and our primary objectives. If you would like to learn more about our Chamber and what we’re doing on behalf of business in Jackson County, explore our Gateway to the Future & Chamber Information links. What else is new? GOOGLE! That’s right. 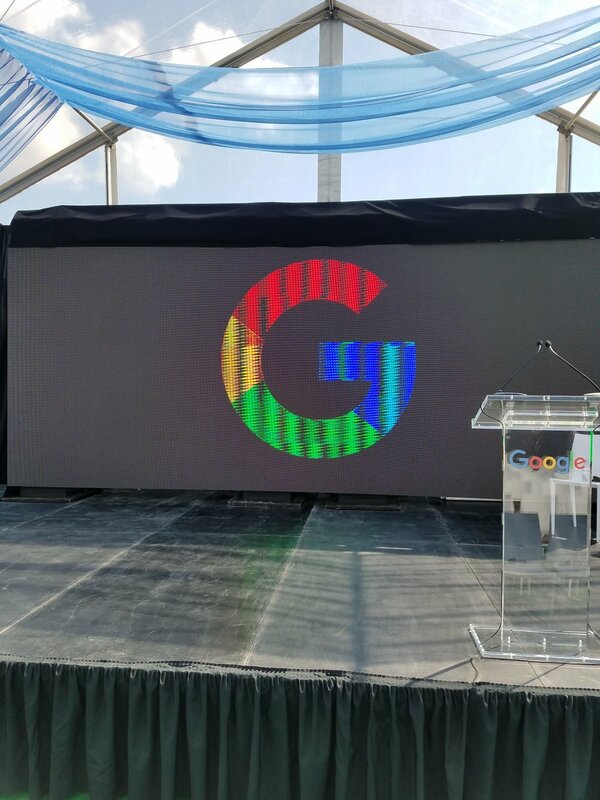 Internet search giant Google is leading a data center construction project that is well underway in Jackson County, with an initial $600 million investment. This is a true game-changer for us, validating the fact that we are a solid part of the “data corridor” between Huntsville, Chattanooga, Atlanta and Nashville. If you like easy access to the major interstates (I-24, I-59, & I-65) and state highways, and “next-door-neighbor” to Georgia and Tennessee, then Jackson County is the place to be. If you enjoy spectacular vistas–particularly the mountain panoramas–and if you especially enjoy outdoor activities such as bicycling, hiking, rock climbing, watersports, bird watching, fishing and hunting, then this is the place to be. If you like a one-of-a-kind store of merchandise coming from all over the world, with between 5,000 to 7,000 new items arriving daily, then this is the place for you. Are you a golfer? Then this is the place for you. We have a waterfront resort with two beautiful 18-hole championship golf courses, over five miles of scenic walking trails, year-round campsites, lakefront cabins, playgrounds and launching ramps. Golf Digest magazine consistently awards the lakeside course a four-star rating. Those are but two of a hand-full of excellent golf courses with breathtaking views in Jackson County. Nearby, we have two full-service marinas and popular lakeside restaurants. You may be a fan of watersports. Then this is the place for you. Lake Guntersville, all 69,000 acres of it, is nationally renowned for its fishing. It has been named one of the top largemouth bass fishing spots in the nation by many major fishing publications, and for the past 14 years has hosted the McDonald’s Big Bass Splash. This annual amateur only tournament pays out $220,000 and has benefited the Ronald McDonald House over $80,000 through the years. Like to hike? Reader’s Digest recognizes the Walls of Jericho in Jackson County as one of top 20 hikes in America. The natural marvel is more than 3.5 miles of well-marked hiking trails and ten miles of horse trails, leading into 12,510 acres of natural area officially open to outdoor enthusiasts, wildlife observers, and geo-tourists everywhere. If you want to visit the “Grand Canyon of the South,” then this is the place for you. Are you a historian? 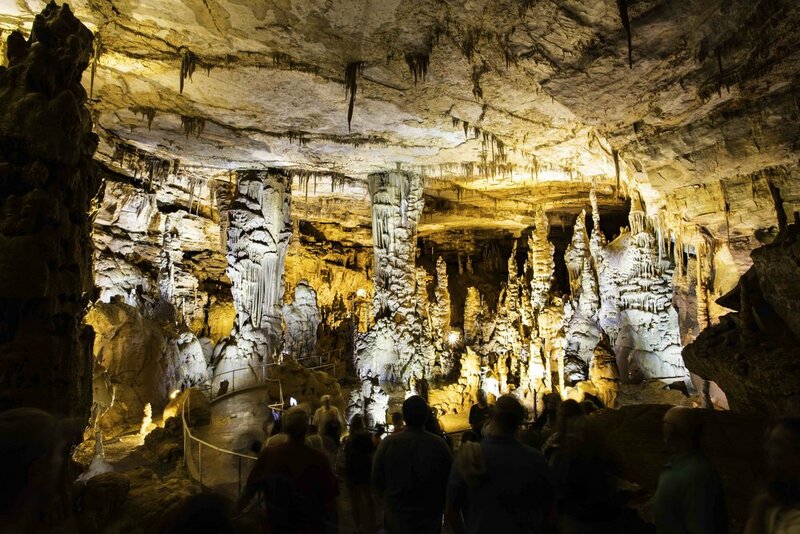 Russell Cave National Monument, in Bridgeport, is one of three national monuments in Alabama. It is archeologically significant, dating back more than 10,000 years. There are several burial and ceremonial mounds around, with a great hiking trail around the park. Located at the end of a 12-mile hiking trail surrounded by 310 acres of pristine woodlands, guests are invited to take a guided tour from the National Park Rangers. That’s not all for history lovers. Jackson County is home to a 32-mile railroad history road-trip through the three depots of Jackson County. The Scottsboro Railroad Depot Museum, the Stevenson Railroad Depot Museum and Fort Harker, and the Bridgeport Railroad Depot Museum are each fascinating in their own right. Each stop offers a unique view into the history of Jackson County that made us who we are today. Students of the Civil Rights Movement will find a treasure trove of information at the Scottsboro Boys Museum and Cultural Center, located in downtown Scottsboro. Many artifacts and documents are on display, signifying that this trial was instrumental to the early days of the Civil Rights Movement in the United States. As you can see, this corner of Alabama has several wonders to offer. They stand out because of their reputation, their natural beauty, their heritage or the totally unique experience they offer to all who venture there. All we can figure is whoever came up with the “Wonders of the World” list must have never set foot here. Welcome to Jackson County. Where business is welcomed and adventure awaits. This is the place for you!